Our community is mourning the loss of William Wolfgang Shaw- a true friend and gentle spirit. The new Performing Arts Space (P.A.S.) 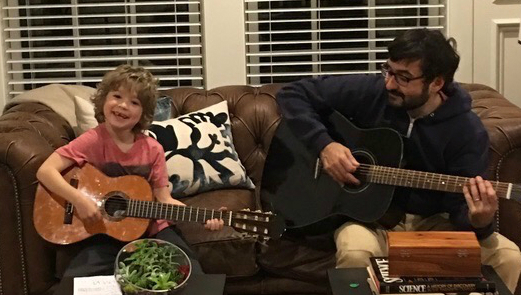 will be dedicated to him and William’s love of music will be honored. Please join us April 6th to support the Performing Arts Studio project! Click here for more information about the PASASAP party and to rsvp. This entry was posted in Uncategorized on January 19, 2019 by CEFUSER. The capital campaign to fund construction of the Carlisle Public School’s new Performing Arts Studio is in full gear! We thank the members of the Carlisle community who attended our multigenerational concert in November or have contributed in other ways. Information about the project is available under the Capital Campaign tab on this site, or click here. 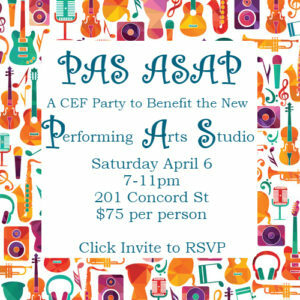 Celebrate music education in Carlisle: RSVP today for our PAS ASAP benefit party on April 6th in Carlisle.